Nhlanhla Mjoli Mncube is CEO of Mjoli Development Company (Pty) Ltd., and Eziko Investments. 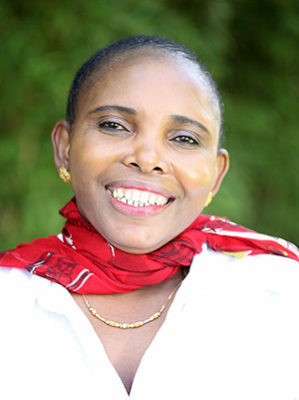 She has worked as the economic adviser to deputy president Phumzile Mlambo-Ngcuka; executive director at a subsidiary of Murray and Roberts; survey research supervisor at Washington State University; and chairman of the National Urban Reconstruction and Housing Agency, South African Women Entrepreneurs, the Rural Housing Loan Fund, Women for Housing, and the Open Society Institute of South Africa. She has worked in leadership in research, housing finance, construction, gender mainstreaming, and other sectors. She is executive president of Alpha Women’s Network, which links women to economic opportunities, training, finance, mentoring, and coaching. She is a past winner of the Businesswoman of the Year Award, Top Woman of the 90s, Finance Woman of the Year, and the Black Businesswoman of the Year Award. She holds a BA from the University Of Fort Hare, an MSc in urban and regional planning from the University of Cape Town, and a certificate in Engineering and Technology management from Warwick University. She has a certificate in senior executive management from Harvard and is a SPURS (Special Program in Urban and Regional Studies) Fellow at the Massachusetts Institute of Technology. She is a Fellow of the fifth class of the Africa Leadership Initiative-South Africa and a member of the Aspen Global Leadership Network. She sits on several Johannesburg Stock Exchange listed companies in South Africa. She is married with 3 children.